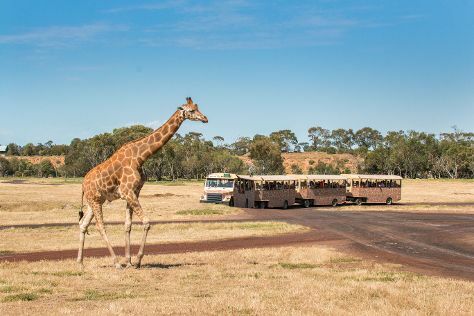 On the 14th (Sun), get to know the resident critters at Werribee Open Range Zoo. Keep things going the next day: see the interesting displays at Scienceworks, take a leisurely stroll along St Kilda Pier, and then let little ones run wild at Fairbairn Park. To find more things to do, where to stay, and other tourist information, read our Tullamarine road trip site . Sydney to Tullamarine is an approximately 4-hour flight. You can also drive. In April, Tullamarine is slightly colder than Sydney - with highs of 23°C and lows of 11°C. Cap off your sightseeing on the 15th (Mon) early enough to travel to Port Campbell. Port Campbell is a coastal town in Victoria, Australia. On the 16th (Tue), explore the wealth of natural beauty at Port Campbell National Park. To find maps, more things to do, reviews, and more tourist information, go to the Port Campbell online itinerary planner . Getting from Tullamarine to Port Campbell by car takes about 3 hours. Finish your sightseeing early on the 16th (Tue) to allow enough time to drive to Apollo Bay. Apollo Bay is a coastal town in southwestern Victoria, Australia. 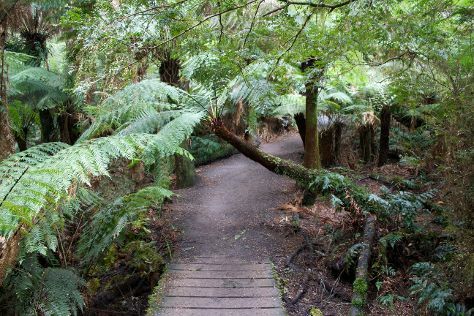 Kick off your visit on the 17th (Wed): stroll through Great Ocean Walk and then hike along Mait's Rest. To find traveler tips, reviews, more things to do, and more tourist information, use the Apollo Bay online trip itinerary maker . 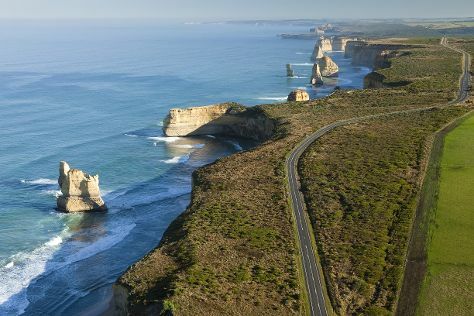 Traveling by car from Port Campbell to Apollo Bay takes 1.5 hours. Alternatively, you can take a bus. Wrap up your sightseeing on the 17th (Wed) early enough to drive to Anglesea. Anglesea is a town in Victoria, Australia. For maps, traveler tips, more things to do, and more tourist information, read our Anglesea online journey planner . You can drive from Apollo Bay to Anglesea in 1.5 hours. April in Anglesea sees daily highs of 24°C and lows of 11°C at night. You will leave for Bentleigh on the 17th (Wed). Bentleigh is a suburb in Melbourne, Victoria, Australia, 13 km south-east of Melbourne's central business district. Start off your visit on the 18th (Thu): let the kids burn off some steam at Phoenix Park, take in nature's colorful creations at Rippon Lea Estate, and then take an in-depth tour of Jewish Holocaust Centre. For reviews, other places to visit, maps, and other tourist information, you can read our Bentleigh day trip tool . Traveling by car from Anglesea to Bentleigh takes 2 hours. In April, plan for daily highs up to 23°C, and evening lows to 12°C. Cap off your sightseeing on the 18th (Thu) early enough to travel back home.